Back in college, the dining hall’s “Pierogi Night” was pretty much my idea of dining excellence. Lookin’ you straight in the eyes here and totally not kidding. I lived for Pierogi Night. Waited for it alllllll quarter, so happily circled on the dining hall menu taped to the back of my little dorm room’s door. 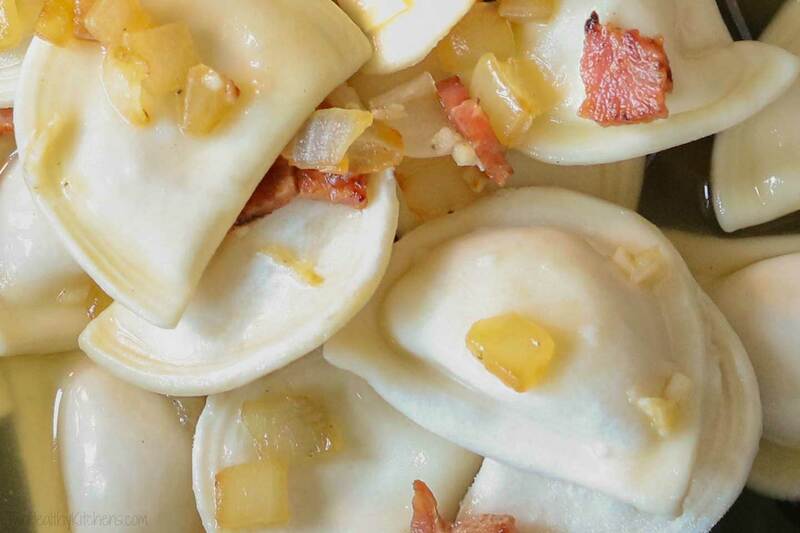 Pssssst … if you want a sneak peek at where we’re going here, with this pierogi love fest, check out our video tutorial on how this recipe comes together (all in one pan, in less than 30 minutes)! I’m honestly not sure if I’d ever even had pierogies before they showed up on the dining hall menu. Oh, what unique and novel heights of ethnic diversity our college menu achieved (ahem) … pierogies! Fast forward to reality … to realizing that there’s a whole lot about college that just can’t go on and on in “real life.” *Nostalgic sigh* But also realizing that food doesn’t have to be swimming in fat to taste good … that it usually tastes much better when it’s got some fresh, vibrant flavors layered in there, too. Well, huh! Who knew?!? I guess some things you just don’t learn in college! My whole family seriously loves this healthier, yet still rich and comforting, Pierogi Skillet. Pierogi Night revolutionized! Both my kids actually make happy little cheering sounds when I tell them I’m planning this for dinner. It’s so delicious every.single.time I make it – we never get tired of it! And it’s fast, FAST, FAST! Yes, my busy-busy, on-the-go friends. I’ve got ya on this one! I’ve tested making this recipe entirely ahead, early in the day, and then gently reheating it at mealtime. Works like a charm. The sauce loosens and gets all creamy-dreamy again as it reheats … mmmmmmm … perfect in just minutes! I was (pleasantly!) surprised that the little confetti bits of spinach weren’t overcooked when I tried this make-ahead idea. That was my biggest worry – but they were actually still just fine. 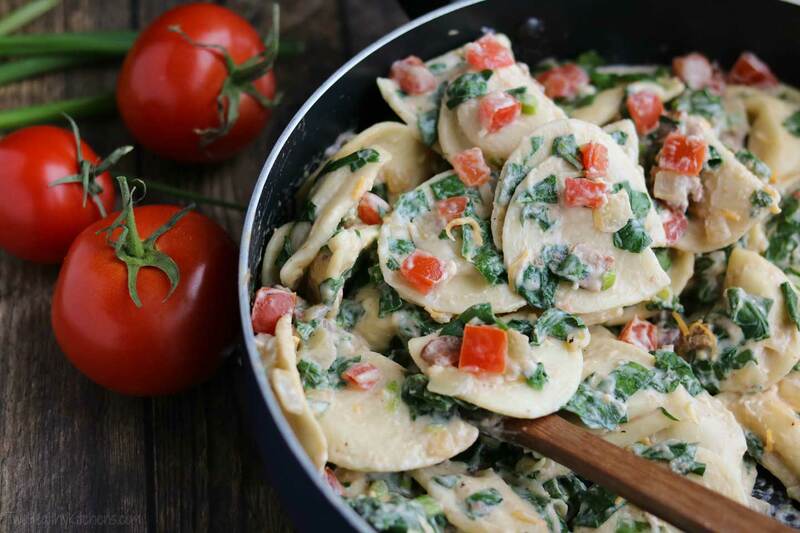 Even so, if you’d like your veggies to be the very most fresh and vibrant, you can definitely leave out the spinach and tomatoes when you initially prepare this ahead of time, waiting to swirl them in at the very end, after you’ve reheated the rest of the skillet meal just before serving. Either way, it’s a terrific option that turns an already-quick skillet dinner into a magic-wand solution for feeding the crew on hectic evenings (with no drive-through meals or pizza delivery needed!). 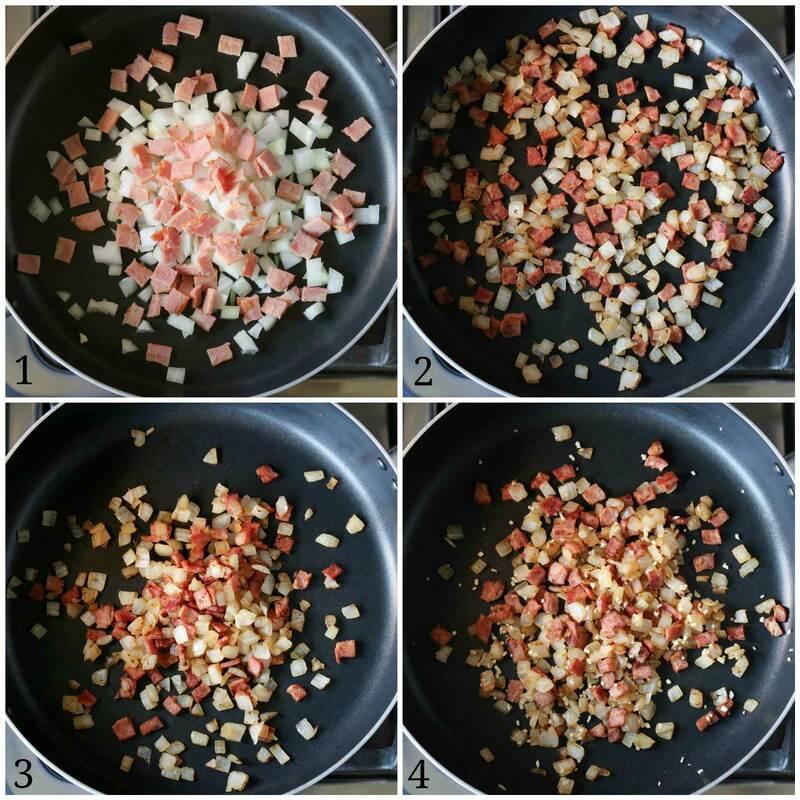 The first step in building those great BLT flavors is to cook smoky bacon and sweet onions until the onions are just starting to soften and turn golden brown (photos 2 and 3 below). After that, I quickly add garlic (photo 4) for just a minute or so – since there isn’t much fat in the pan at all, that garlic will burn readily if it’s cooked too long before other “wet” ingredients are added. So, after the garlic just barely starts to cook, I quickly add the still-frozen pierogies (still frozen … no thawing or pre-cooking needed … hurray, time saver! ), and the chicken broth (photo 1 below). 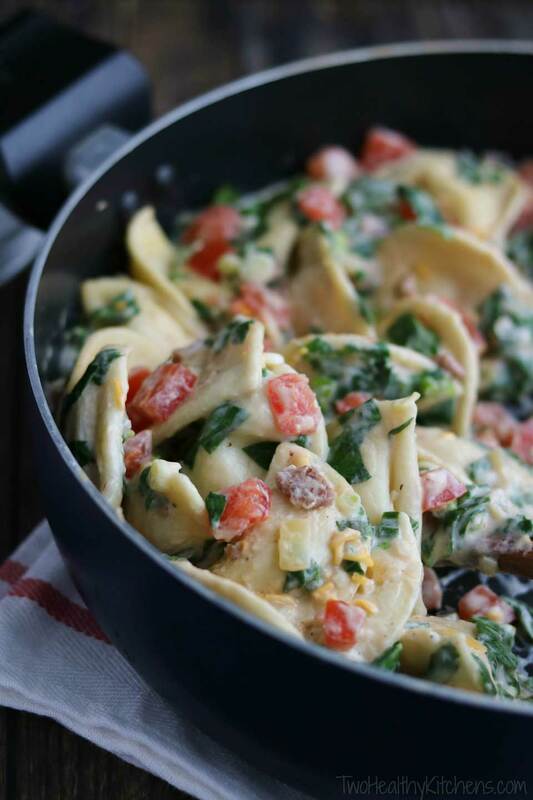 It all mixes and mingles deliciously in the pan while those pierogies cook until they’re perfectly piping hot. And that’s when the cheesy-awesome goodness thing happens … just a little reduced-fat cream cheese (photo 2 below) turns the broth into a creamy alfredo-like sauce (photo 3). And just a mere half-cup of sharp cheddar (photo 4) adds big, big cheesy flavor. I’ve tested this recipe using regular cheddar (when I didn’t happen to have any sharp cheddar on hand), and it’s truly not as good. Since we’re relying on just a little cheese to go a long, long way in the flavor department here, that extra hit of flavor from the sharp cheddar really makes a difference. Next up, I stir in the final delicious touches – loads of gorgeous, super-nutritious veggies! Crisp little green onion slices and a whole heap of spinach (photos 1 and 2 below), plus eye-poppingly pretty red tomato (photos 3 and 4). Done and done! Ridiculously quick and easy! My family always serves this straight out of the skillet at the table. Or, you can skip the forks and just dive in face first. I’m certainly in no position to judge pierogi feasting strategies. Do what you gotta do. 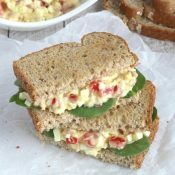 Just like with our BLT Egg Salad, my favorite “lettuce” in BLT recipes is usually super-nutritious spinach. 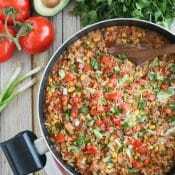 There’s an entire 5-ounce bag chopped up and gently stirred into this recipe – that’s an impressive nutritional punch, for sure! Tip #1 for making spinach a regular dinner guest: because my family doesn’t love overly cooked spinach, I typically add it to recipes like this one just at the very end of cooking, so it’s perfectly softened to meld with the cheesy goodness … but doesn’t take on those cooked-spinach flavors some people just hate. Even my veggie-picky Amy doesn’t mind that it’s in there! 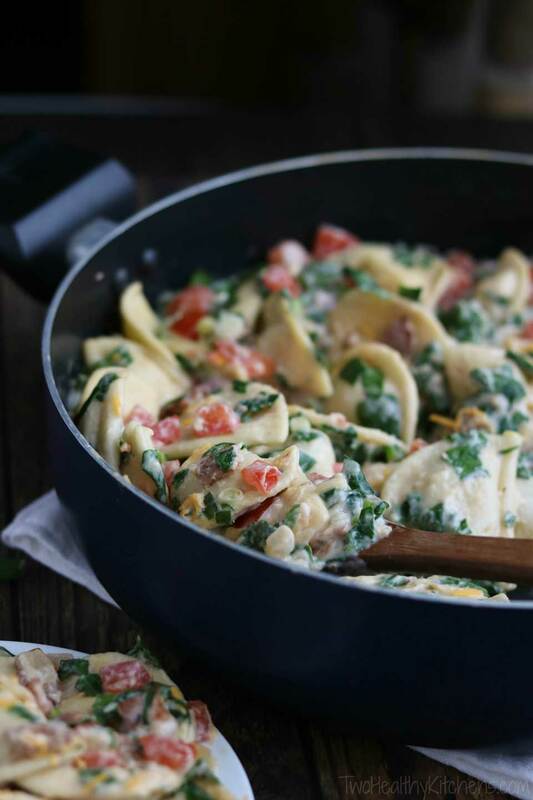 You’ll notice that I use this little trick in a lot of my THK recipes – incorporating spinach just at the veeeeerrrry end of cooking, so it’s still lively and fresh, but just wilted down enough that you can stir in a surprisingly large amount of healthy spinach goodness without anyone objecting. 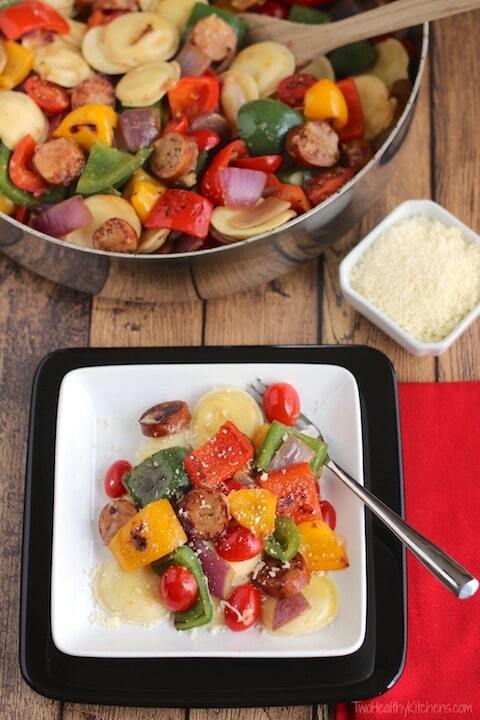 We do the same thing for our Crock Pot Italian Wedding Soup and our Creamy Tomato and Sausage Pasta. One other little strategy that I find helps spinach-suspicious eaters to embrace Popeye’s favorite veggie: I usually chop it up before cooking it, rather than stirring in whole, big leaves. For some reason, those chopped pieces seem to look and taste less “wilty,” and little confetti-speckles of spinach throughout a dish are somehow much less off-putting than whole, silky, cooked leaves. 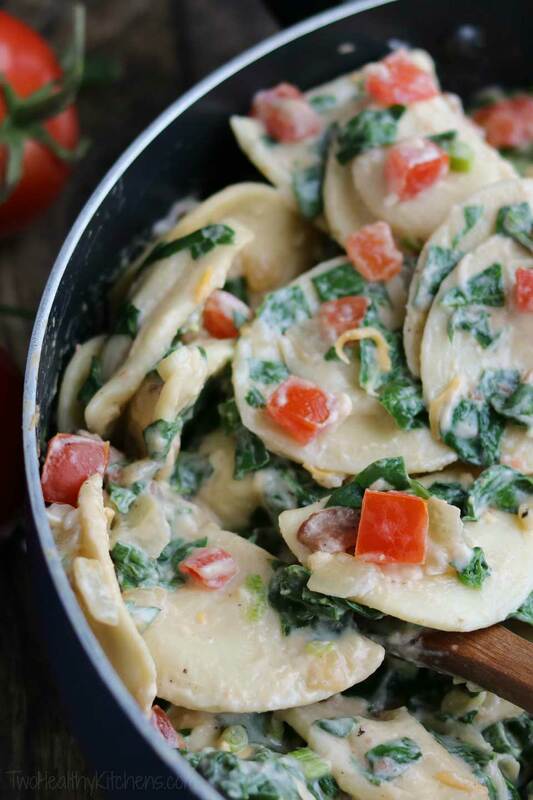 Got big-time spinach lovers at home? 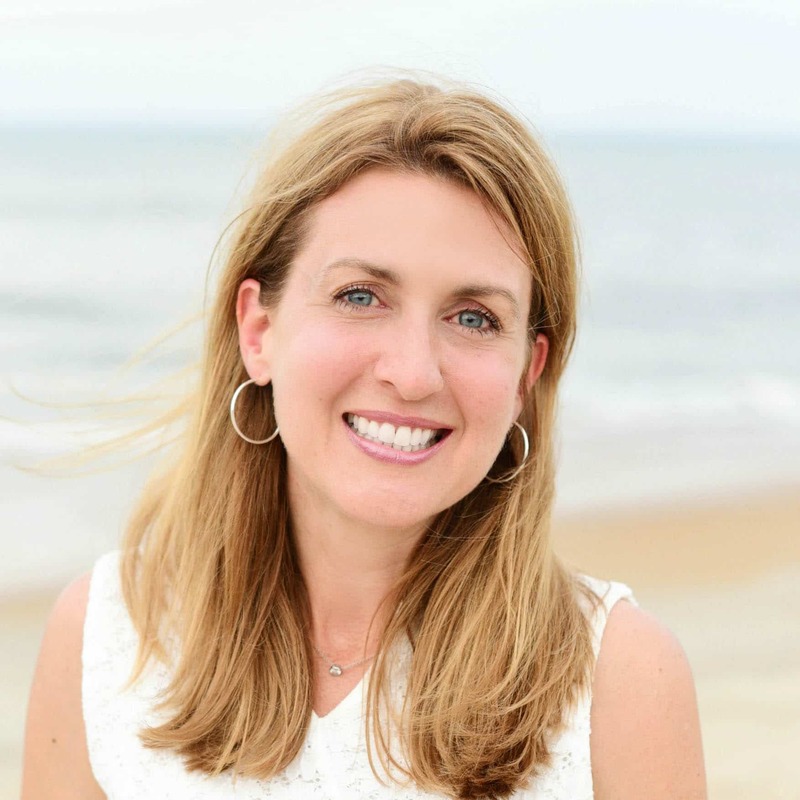 Great – lucky you! 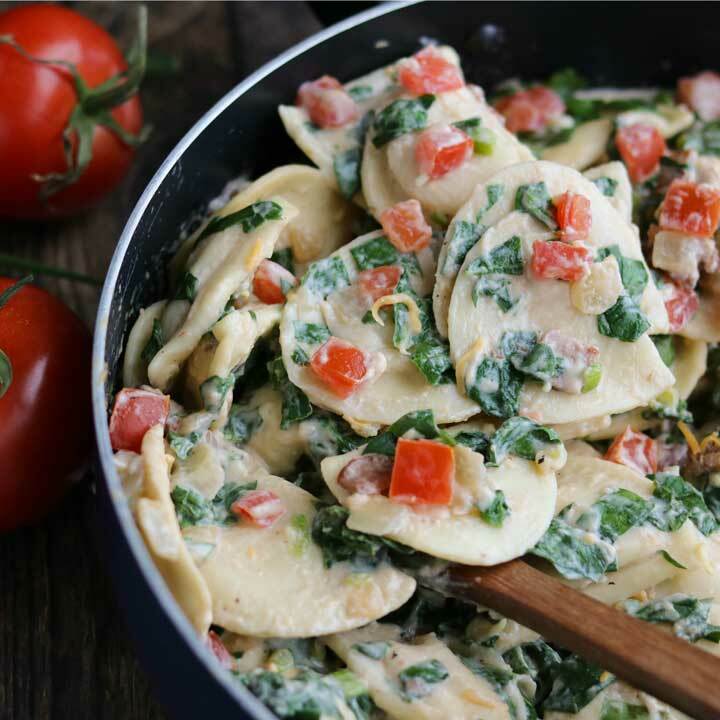 Then you can definitely feel free to make this recipe even faster yet by skipping the chopping step for the spinach, and simply tossing in whole leaves. What’s a BLT recipe without bacon? Well, an LT, I guess – and that’s just not as fun! 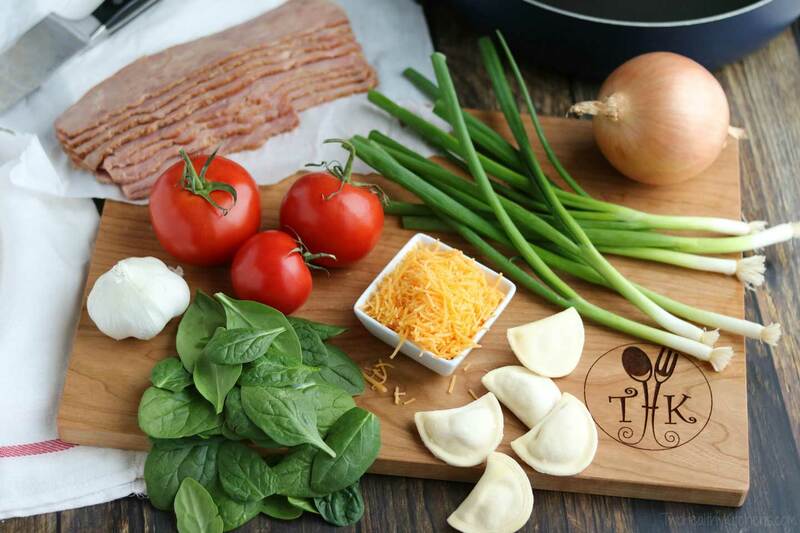 I’ve made this Pierogi Skillet recipe with so many different varieties of bacon – center-cut bacon (lower in fat than regular bacon), turkey bacon, reduced-sodium turkey bacon, even thick-cut uncured turkey bacon. They all work great, so choose whichever you prefer, with an eye to what’s healthiest and most in line with your family’s dietary priorities. Because I don’t think most turkey bacon crumbles very well after cooking (the way “normal” bacon would), I pre-chop my bacon for this recipe before cooking. Beyond that, the only major difference I’ve really found for how different types of bacon perform in this recipe is that you might need to add a tiny pinch of salt at the very end of cooking if your bacon is really low in sodium. (Whether or not you use the recommended reduced-sodium broth in this recipe can also affect the need for salt at the end of cooking.) Honestly, though, in all the times I’ve made this, I think I’ve needed to add a little salt just once or twice. I recommend tasting the final dish at the very end, and adding a little dash of kosher salt only if needed to make the flavors vibrantly pop. And trust me – pop they will! You know I love me some whole grain goodness, and I sure do wish I could still find whole grain pierogies at my local grocery stores, but lately I can’t find them anymore. If you’re able to find them, then I heartily recommend considering that option to add in some fiber-rich whole grains to this recipe. Whatever you choose, though, be sure to check the nutrition panel – there’s a surprisingly wide variation in the amount of fat and calories in different sizes and flavors of pierogies. For example, I usually choose Mrs. T’s brand from the freezer aisle, simply because that’s what’s available, and the pierogies in that product line can vary from 2.5 or 3 grams of fat per serving up to as much as 9 grams (with corresponding increases in overall calories, as well). I’ve tried using all sorts of different pierogies in this recipe, but I typically go with Mrs. T’s Mini Classic Cheddar, because we really prefer the size of the smaller mini pierogies in this recipe, and also because the mini cheddar variety doesn’t have nearly as much fat or calories as some of the others. Mrs. T’s Mini Classic Onion Pierogies are even slightly lower in overall fat and calories, and would also be a good bet for this recipe. Or, for just a little splurge and to amp up the bacon flavor, you could try the Mini Cheddar Seasoned with Bacon. Really, though, don’t overthink this too much. You can’t go wrong! No matter what little variations I play around with, this BLT Pierogi Skillet is always a tried-and-true family favorite, time after time. It’s nestled its way into its very own special place in my pierogi-loving heart. Hurray! Pierogi Night lives on! Reinvented, a little bit healthier … and better than ever! 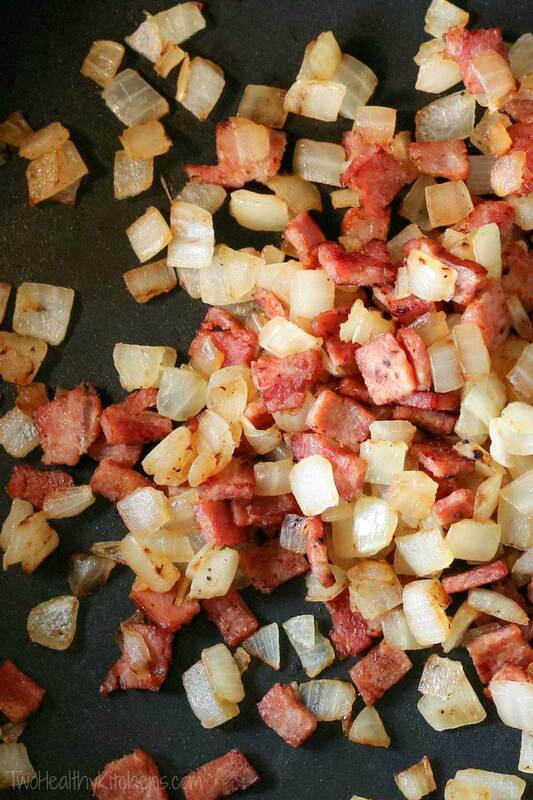 In a large nonstick skillet over medium heat, cook chopped sweet onion and bacon until bacon is nearly done and onion has begun to soften and turn slightly golden, stirring occasionally, about 8-10 minutes. Add garlic and continue cooking for 1 minute, stirring so garlic does not burn. Add frozen pierogies and broth, stirring so that all pierogies are completely moistened. Turn the heat up to high, cover and cook until pierogies are done (about 8 minutes). Stir in cream cheese until fully melted and incorporated into broth to form a creamy sauce. Then add cheddar cheese and stir until melted. Next add spinach and green onions and stir just until spinach is slightly wilted. Remove from heat and stir in tomatoes. Serve immediately, from skillet, or see note about serving this later as a make-ahead meal. Turkey bacon and salt: As discussed in greater detail in the post, I've tested this recipe with a variety of types of bacon, including various turkey bacons and also center-cut bacon. There is a wide variance in processing ingredients and sodium levels from one brand or variety to the next, so use whatever your family prefers. Note that, depending on how much sodium and salty curing flavor is in the bacon you choose (and also whether or not you use the recommended reduced-sodium broth), you may need to add a little bit of salt at the end of cooking. I often find that this is not necessary, but with some very low-sodium varieties of turkey bacon, that little final hit of salt really wakes up the flavors perfectly. Also note that some thicker-cut bacon varieties weigh about twice as much per slice as regular-cut slices, which is why we offer more specific weights in the ingredient list. For typical bacon, I generally use 4 slices, but for thicker cuts, I sometimes need just 2 slices to yield the same amount of bacon. Make-ahead ideas: Although this skillet meal comes together very quickly and easily in less than 30 minutes, you can make it even faster on busy evenings by making it entirely ahead. After cooking this recipe earlier in the day or even a day ahead, you can cover and refrigerate the (slightly cooled) skillet. Then, gently reheat the meal when you're ready to serve. Although I find that the veggies hold up very well and don't seem too overcooked when I do this, if you prefer, for the freshest and liveliest veggies, you can wait to add the spinach and/or the tomatoes until the very end, after the final reheating and just before serving. 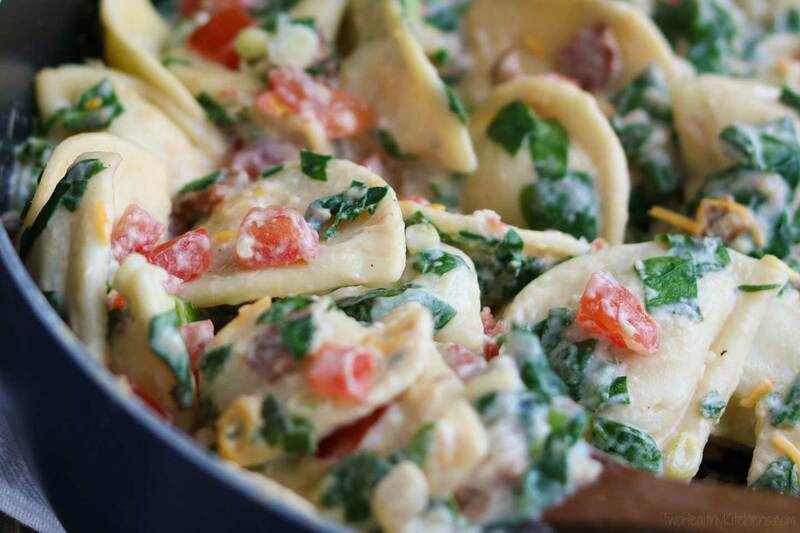 This recipe was inspired by Cooking Light’s Bacon Pierogi Bake recipe, published back in December 2010. 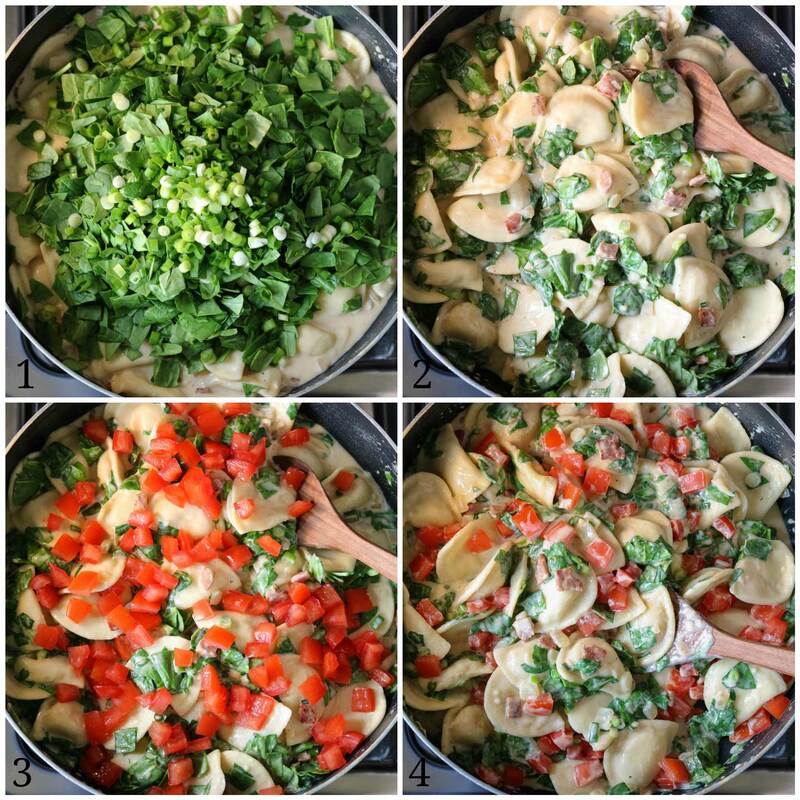 We loved the recipe from the very first time I made it, but immediately saw opportunities to pump up the healthy veggies (which also added loads of great flavor), by adding in regular onion, more tomato and green onion, and also a big wallop of spinach. We also wanted to transform Cooking Light’s original recipe from a slightly more time-consuming baked dish into a super-fast skillet meal. If you’d like to try the original, you can check it out HERE. This recipe sounds delicious. I’m making this recipe as a hearty dish when I have a friend over for lunch. I’ve had Mrs.T’s mini pierogie’s many times. I even use them in place of dumplings in my chicken and dumplings recipe. Delicious! I’m able to find them at my local grocery store. Both my husband and I love them. Hi Shelly. My mouth is watering just reading this recipe! I’d like to print out the print out the recipe card; but when I click the print button, the formatting seems to get a little crazy. Are there special settings to use? Pierogies ! plus very large amounts of everything else. Csn you fix this, I would really like to try this dish! Can’t wait to try this! My husband will love this !! We’ve only had pierogi a couple times as they’re not crazy popular here, but they were so delicious we must get them again next time we go to Costco! Then I can make this, because it looks so, so delicious!! I am so in love with this dinner idea! 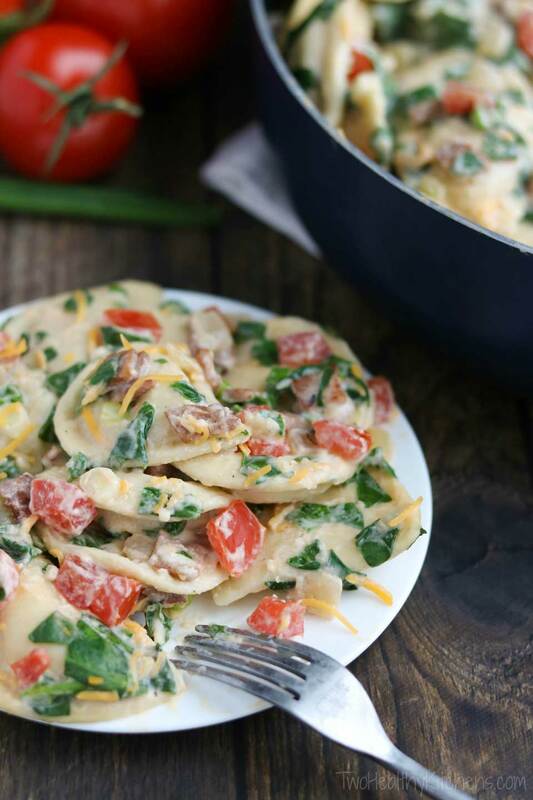 This BLT Pierogi skillet sounds amazing! BLT anything is right up my alley – and I love pierogies. I didn’t know they have them already made. Wow, so many choices! I’ve never even tasted a pierogi before! 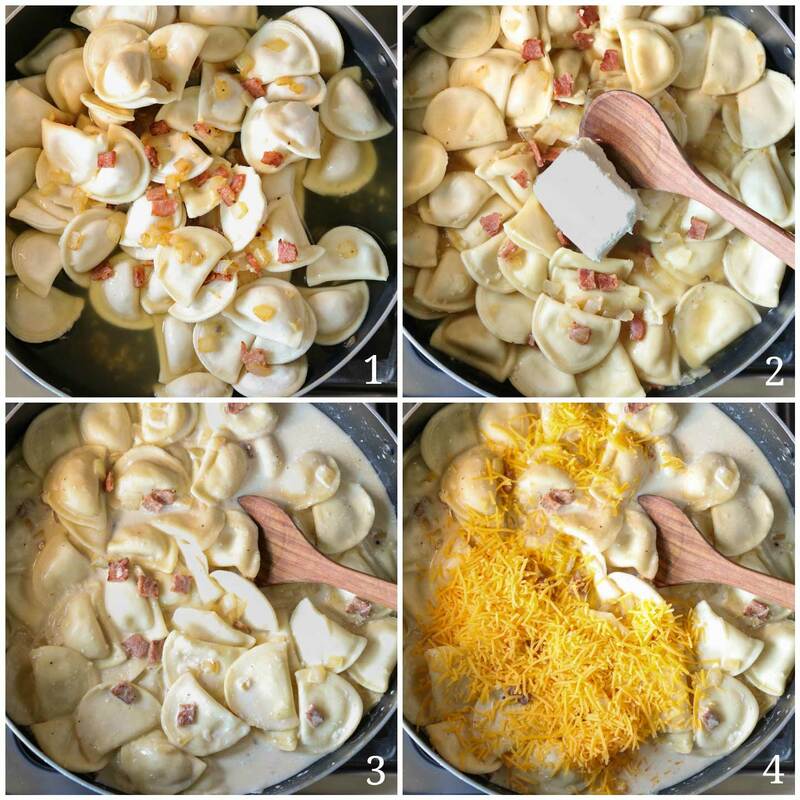 I’ve never thought of using pierogis in this way! Great idea! I LOVE Pierogis! What a great meal! There is nothing better than pierogi and all the fixins’. This sounds so amazing right now! I could go for a big bowl of this! BLT + pierogies is the BEST combo! My whole family would love it! Pierogi night! I definitely gained the Freshman 15 when I first moved into the dorms! Gosh I totally want to try this! Oh my WORD, what a delightful dish! Pierogis are my favorite, but they’re nearly impossible to find in the South, so I always (over)indulge whenever I visit family in Western PA. What a fun night for the dorms, too! Great story about pierogi night at college! This is a simple recipe with interesting variations. Definitely going to try this one!